A tiny adjustable DC-DC voltage converter. 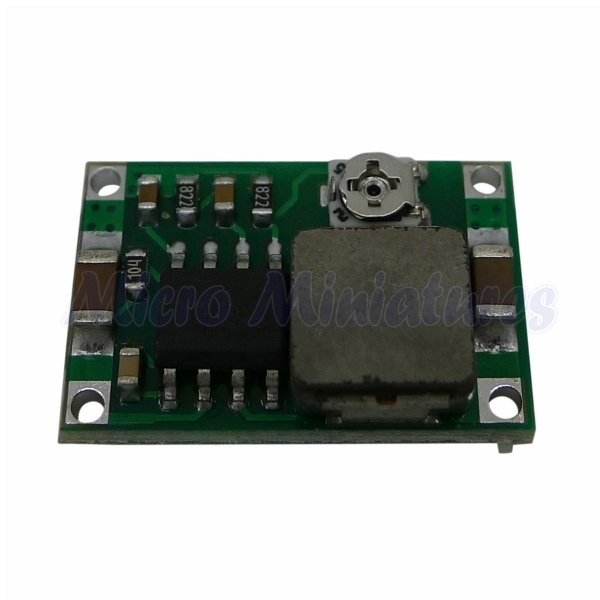 This unit has a wide input and output voltage range and for it’s size it has a high continuous current output of 500mA. The unit can peak at higher currents up to 1 amp for short periods. This unit is ideal for reducing a given voltage to power accessories like small bulbs etc. Due to it’s tiny footprint, the voltage regulator can easily be fitted out of sight in a variety of models such as a model railway engine or carriage. The input and output connections are soldered to save space. The unit can accept a wide input voltage range from 4.75 volts to 23 volts and can output voltages up to 17 volts.